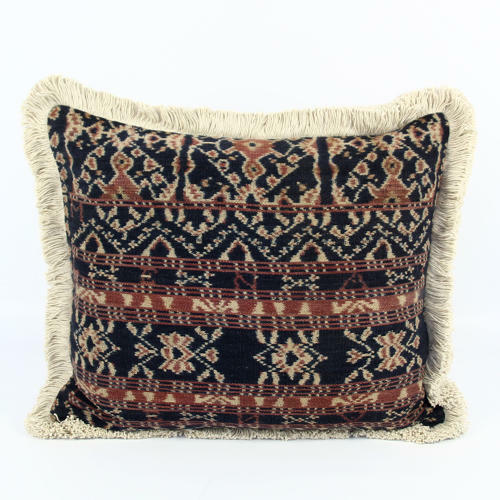 These 2 cushions were made from the same lovely thick vintage ikat as IKAT45. They are also edged with a thick natural cotton fringe, have zip closure and feather pad. The colours are predominantly black, tan and sand.